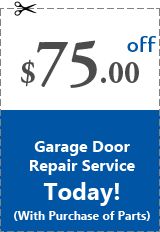 Our technicians provide high quality and cost-effective garage door repair services in Rogers, MN. 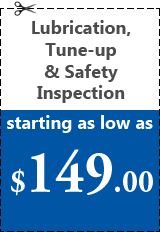 You can call us at any hour of the day for garage door repair or any other service related to garage doors. You need to call us as soon as you find your garage door giving you trouble, even if it seems to you that the trouble is a minor one. No problem in the normal functioning of the garage door should be ignored. Our technicians can come to your home even in the middle of the night, as we are a 24/7 garage door repair service provider. You should try to fix the garage door on your own before giving us a call. You need to follow all the manufacturer’s instructions regarding the maintenance and troubleshooting of garage doors. However, if following these instructions don’t help you to fix the problem, it means you need to call reliable garage door pros, such as those of Garage Door Repair Rogers. 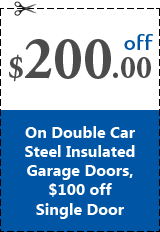 Our technicians in Rogers, MN can fix all kinds of problems in different types of garage doors. Garage Door Repair: Our technicians are capable of repairing all kinds of garage doors from different brands, including Northwest Door, Wayne Dalton, and others. As the garage door is the largest moving object in your home, you need to always make sure it is functioning smoothly. This ensures the safety of your family members, as well as smooth entry and exit to your home. You should call us even on noticing a minor malfunctioning in your garage door, as you never know whether it can aggravate into a bigger problem soon or not. 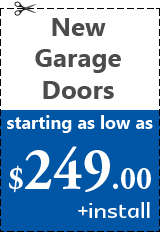 Garage Door Installation: Our garage door installation solutions are available at any given hour of the day. Our technicians follow all the instructions that the manufacturers of garage doors give to ensure that installation is carried out flawlessly. We will ensure that the garage door installed in your home operates smoothly and lasts long. Garage Door Replacement: You can depend on the expertise of our technicians for flawless replacement of your old or damaged garage door. Our customer service reps and technicians can also help you choose the ideal garage door for your home based on your specific needs, preferences and budget. Garage Door Openers repair/install: Is your garage door opener showing signs of a serious malfunctioning? Then, it is time to call our experienced professionals and get the problem fixed, or get a new opener installed if repair is not an option anymore. 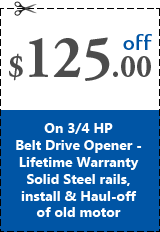 Repair All Brands of Existing Openers: Our technicians are adept at repairing garage door openers from all the leading brands. 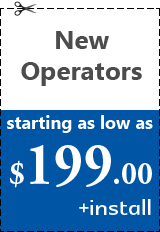 You can hire them for repairing a garage door opener model that was launched a decade ago or recently. Our technicians can fix any problem in an opener of any description, and from any brand. 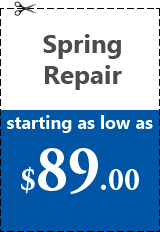 Garage Door Spring Replacement: For flawless garage door spring replacement job, you can depend on the expertise of our professionals. 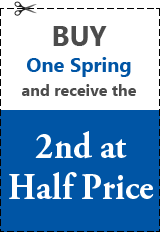 We will follow all the manufacturer’s instructions to ensure that there is no damage or any other problem in replacement of springs. 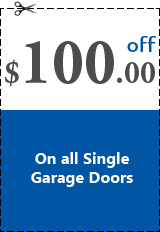 Repair Off-Track Garage Doors: Our technicians are always at your service in Rogers, MN for fixing off-track garage doors. Their services are available on call as soon as you notice any problem in the functioning of your garage door due to a damage or misalignment in its tracks. Garage Door Panel Replacement: The panels of your garage door need to be aligned according to its mechanism to ensure that it functions smoothly. Our technicians are aware of the mechanism of different types of garage doors and how the panels need to be aligned accordingly for smooth functioning of the door. 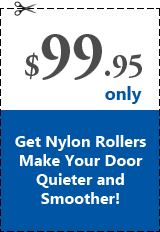 Garage Door Roller Replacement: You need to make sure that your garage door rollers are lubricated adequately at all times. 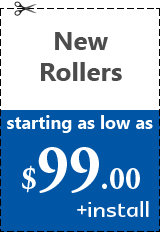 Garage door rollers can easily get damaged without this, but you can still bank on us to fix the problem with ease. Call us on our toll free no. in Rogers, MN now to know more. Garage Door Cable Replacement: Our services for fixing garage door cables are available 24 hours in Rogers, MN. Our technicians are capable of replacing any kind of garage door cables by factoring in the environment in which your garage door functions and ensuring that the new cables last long. Wireless Key Pads: You can rely on us to provide the ideal wireless keypads for your home garage door. You can rely on the expertise and experience of our seasoned technicians to choose the ideal one based on your specific needs and preferences. Garage door opener Remotes: We stock a wide range of garage door opener remotes for homeowners to choose from. Our technicians also offer configuration and repair services related to garage door opener remotes for homeowners of Rogers, MN. To learn more about our services in Rogers, MN, call us now! Sitemap © 2019 Garage Door Repair Rogers MN All Rights Reserved.